There is something different about the oldest surviving rocks we have ever found, besides their age. Now geologists think they know what it is – they were formed when a meteorite struck the young Earth, melting and transforming the existing rocks. Asteroid bombardment was so intense at this time that it is likely many of the Earth’s first rocks were formed in this way. 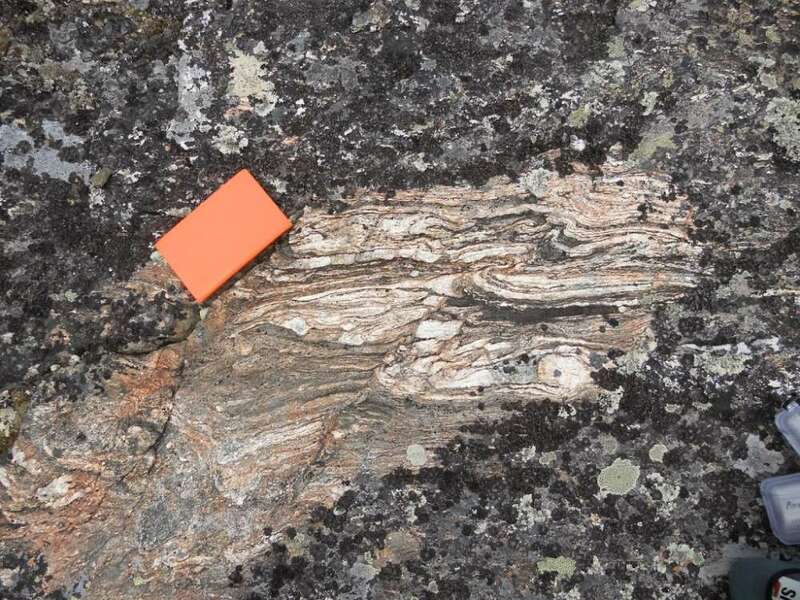 Canada’s Idiwhaa gneisses (high-grade metamorphic rock) is 4.02 billion years old, making it the oldest substantial set of rocks in the world, although even older tiny grains are found in Western Australia’s Jack Hills. The Idiwhaa is felsic rock, whose high silica content has puzzled geologists as other early crustal materials are low in silica. Models of early crustal formation are consistent with low-silica rocks forming first, but the Idiwhaa rocks, from the Acasta River region, don’t even resemble younger silica-rich minerals such as granite. 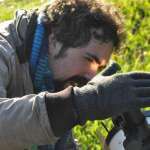 Dr Tim Johnson of Australia’s Curtin University has provided an explanation in Nature Geoscience. “Our modelling shows that the Acasta River rocks derived from the melting of pre-existing iron-rich basaltic rock, which formed the uppermost layers of crust on the primitive Earth," Johnson said in a statement. The basaltic rocks of the era are thought to have been similar to those that today make up the Earth’s ocean basins. Silica-rich rocks like these require temperatures of 800º-900ºC (1,500º-1,700ºF) to form, yet Johnson and co-authors found the Idiwhaa rocks were formed under relatively low pressures, suggesting they came from within 3 kilometers (2 miles) of the Earth’s surface, rather than at the great depths where some rocks are made. As Johnson put it: “It would have needed something special to produce the 900°C temperatures” in such circumstances. The authors argue a collision with a decent-sized asteroid would be suitably special. We know from craters on other planets and moons that for the first 600 million years after the Sun formed, asteroids peppered the inner Solar System with massive impacts. The Earth would have been no exception, but weather and tectonic activity have worn away most of the evidence. The Idiwhaa rocks appear to be a precious exception. The bombardment was so intense, Johnson argues, much of the planet’s early continental rock probably had a similar origin, but the same forces that have erased craters from this era also obliterated most of the minerals. Even the Idiwhaa gneisses have become mixed with iron-rich minerals formed around 3.6 billion years ago, confusing the picture on their origins. The formation of silica-rich rocks on Mars is an ongoing study, giving the conclusion wider implications. Idiwhaa comes from the word ancient in the language of the Tlicho people, the indigenous inhabitants of the Acasta River region.